Sustainable Agriculture is an Oxymoron. This post is rather old, never mind, I think I could exchange some info. We have a vineyard in Douro region and we let sheep graze weed since I can remember. We let the sheep graze in winter until the small buds start to appear. Everything looks ideal, but it's not. Why? The shepperd also owns some land and he tends to protect his own, bringing the sheep to the vineyard when the weeds are too small. The land becomes completely bare and so, unprotected for rainfall. Then comes the spring weeds, different species, they grow vigorously and tend to grow at heights that cover the vines (1,5m and more). This is actually the weed that we would need to be mown, because they shade too much the plants, and stock too much humidity on the air, bringing all the dangers of mildium and oydium (not sure how to write it). please help...need to build chicken run fast and cheap! I believe you prefer having your chicken free. What separates you from your neighbour? Do they need to "take off" and "fly" to the neighbour's yard? Have you considered just cutting feathers of the wings? I mean, not entirely, half... they wouldn't take off. (It doesn't hurt them and it's the cheaper solution I can think of). Only now have I seen your post and it's been a while since it's here. What have you done? I also have some 300 olive trees, though in a less prone to fire region: Douro. But I totally understand fire is a main issue to you in Andalucia. Nevertheless, I believe the underneath concern is having a profitable production. Since olive trees is generally going through the same problem a bit everywhere you, like me, is looking for different ideas to correct ways of doing. Something, or a lot of stuff, must be wrong if our land is going bare. The olive trees produce best with "half" sun exposure, so yes, you should prune some so that most of the trees get some light going through. We're not getting sanitary problems with the olive trees here for quite a few years which makes for one less problem: no pesticides. We struggle with the same rainy winters and long dry summers. We also have sheep pasturing. Leaving tall grass or olive tree branches on the ground is really explosive for fire. Olive tree wood is very hard to burn, but once ignited will consume itself slowly igniting again very easily. Olive tree leaves are the most dangerous part: they are full of oil and burst into big flames in a second. So, if you don't get lot's of moisture, leavin branches or tall grasses is a sure path to disaster. And we had proof of it in my cousins land (though warned) where he left too much grass, turned dried in summer, and... he lost more than 500 olive trees. My olive tree land has some slope, so we did a swale rather uphill to start collecting and retarding the water. We're about to do a second one with huggelculture more or less in the middle of the slope. We'll be filling it up with the prunnings and some manure. And we'll keep doing it if we get results we look for. As for the sheep, they'll be out for some time. Later, for them to enter I'll have to have a talk with the sheppard. I believe he's one of the main reasons we have so little soil and wild plants. He brings the herd to pasture the plants are hardly coming off the ground. They don't have time to grow and get shopped several times each year. This treatment is worse then herbicides for them. But that's how everybody is doing here, and mabe that's why everybody has the same problems. Also, I'll be plowing this year at least, once, on contour, so that the grooves help retain some more water. After these actions were taken I'll have to go with the flow, rethinking the situation though not expecting results in the very first year. What have you done / is doing? Hi there Burra Maluca, since you're portuguese, I draw your attention to a similar project in the Douro/Castelo Rodrigo region, The Faia Brava natural reserve (can also look under Associação Transumância Natureza). They now manage 875 ha of land, almost contiguous to the Douro Internacional Reserve (privately owned!). They are rewildening these lands. They also released (1 or 2 years ago) a herd of horses, Garranos, quite similar to the Retuerta ones. They also have been releasing wild animals. For years the rabbit's population (as you know rabbit, partridges, fox, wolf, vulture and boars are local species) is slowly growing. (They've locked some areas from hunting and there has been way less use of fire by the shepherds. This led to an increase of predators population as well (You can tell by 3 dead foxes seen on the road this year). Everything I've been finding about holistic management is sooo vague. Finally, some more consistent and detailed info. Hope you like it (free download from the author!). No sorries... it's great hearing from you. It's great to exchange ideas and quite fruitfull when you're looking for something very similar. I'm looking and evaluating possibilities (it's cheaper and maybe faster then growing...). To start I thought about "importing" species. Capres was one. There are no capres in Portugal, but for what I saw capres enjoy more sedimentary loose to calcareous soils (like Sicily?). Could you tell me what kind of soil do you and your father have/had? My piece of land is in the Douro regio of Portugal. Shale, loose earth with rocks maybe 30-50cm deep, then compact rock. It means potentially very rich soil, but rapidly soaks in winter and dries fast in summer. Also thought about mixing some pistachio, ... came back to basics, trying to use or give another use to local stuff, also it had to be financially interesting. We do have rosemary, though the kind we have gives less flower. I had some trouble finding the manual. I believe there are no translations. I don't read italian myself. Kind of read it across like it were portuguese and a few times, specially some words that would unveil the contents of the phhrase, i simply used google translator. You could try it. In regard of the chickens, the idea for me would be getting another resource, in this case meat. I fear for the long-term "desert" effect. I've been reading about paddock rotation but hardly find "i did this i got this result". Mostly i find "i did this" (or wil be doing - like me). I tried to get some Allan Savory stuff but nothing in specific, no guidelines. Guess i'll have to go through trial and error. Hi, just found this page refering an italian who is way ahead in his research of asparagus and olive trees. Hard to find the paper online though. Where these researchers tested wild asparagus production and report their techniques, yelds, conclusions! And now, even a Manual (in italian)! Have you sought about a shepperd dog? Seems to me the most perfect solution. I haven't tried but the idea looks great, and these guys explain in detail all you have to do, which is not much. Take a chest freezer (the lid is on the top, when you open the fridge the loss of cold is way lesser than a vertical one; the insulation is better than for a fridge). 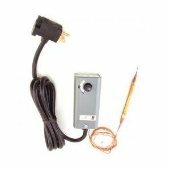 Bypass the freezer thermostat using a new one to allow cutting off the energy when the temperature is reached. A little more and you've got it. The original post is there since 2004, but I haven't seen any ref. to it elsewhere. I just finished registering on the forum because of your post. I also have this idea of propagating wild asparagus and will wait for next "seed season" to reinforce nature's endeavour. My property is in the Douro region in Portugal. Schist soil, kind of 40cm deep with soil and then hard or not that hard schist rock. This also means that in winter soils are soaked very fast and, with hard rains, form small lines of water or simply wash the surface taking soil away. Well, this is also because most soils are cultivated with vineyard and the rest is almond trees and olive trees. They are plowed once a year. The vineyard every now and then twice a year. But this is another problem.
. they like to grow close to olive trees trunks, where other plants of the same size grow together.
. they like to grow from the walls (made of schist rocks, so with plenty of holes showing the dirt beneath).
. when they grow from the walls, I can hardly remember see then on a north wall face, though plenty on any other direction (east, south or west by subjective order).
. never seen a large extension covered with wil asparagus, only a few plants together, and some other rather far. The rain comes from south over here. My conclusion, they need moist soil to pass through summer, inspite of a leaf system that looks so economical on the "transpiration" factor. I wonder if they have some "linkage" to olive tree roots. 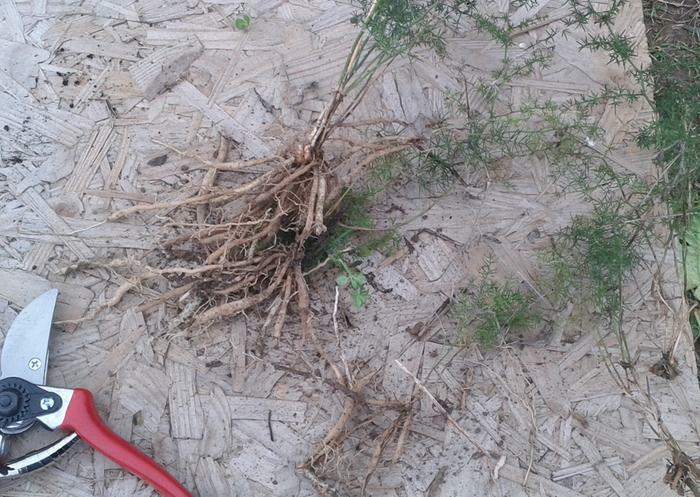 We had hardly any plants in the property a few years ago.
. spaced by 50 meters or more, wich could mean the wind would have spread the seeds (I hasked that nobody picks the asparagus on the property). Another conclusion your post provoked: both ways of spreading should work fine. Well, I'm gonna try both methods this year. Root spreading in february and seed recolection on late summer. Don't know yet what should be the best procedure for the seeds but I'll try to emulate other asparagus info that I'll be able to find. Be sure that I'll be reporting advances here to share at least with you. Do you have any hints, ideas?